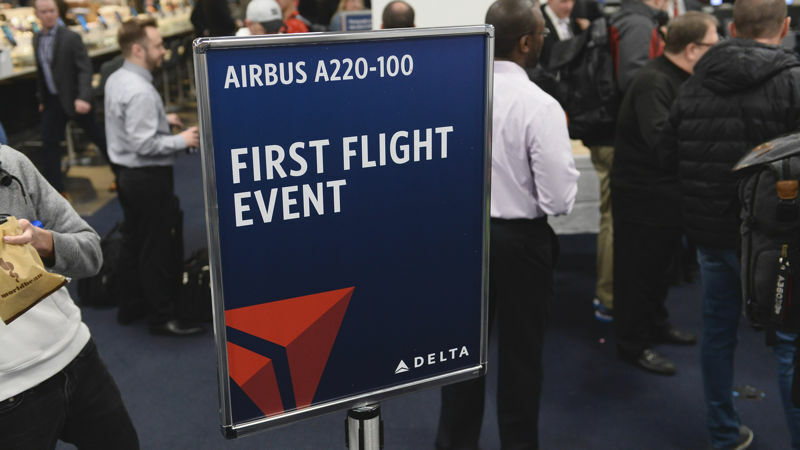 Delta Air Lines has introduced its Airbus A220 with a Thursday departure from New York La Guardia, the first commercial flight of the aircraft by a North American airline. The launch had been delayed by a week due to FAA type approval delays during the US government shutdown, but the airline was able to introduce it to the paying public at New York’s LaGuardia Airport on Thursday morning. Delta will use its first A220s on routes between LaGuardia, Boston Logan and Dallas-Fort Worth airports. The Atlanta-based airline initially ordered 75 A220-100s, but last month converted 35 of that order to the larger -300, and added 15 more -300s, taking its total order mix to 40 A220-100s and 50 -300s. It has taken delivery of four -100s, with another 16 expected this year. Delta’s A220-100s have 109 seats, 12 in First Class, 15 in Delta Comfort+ and 82 in the main cabin. 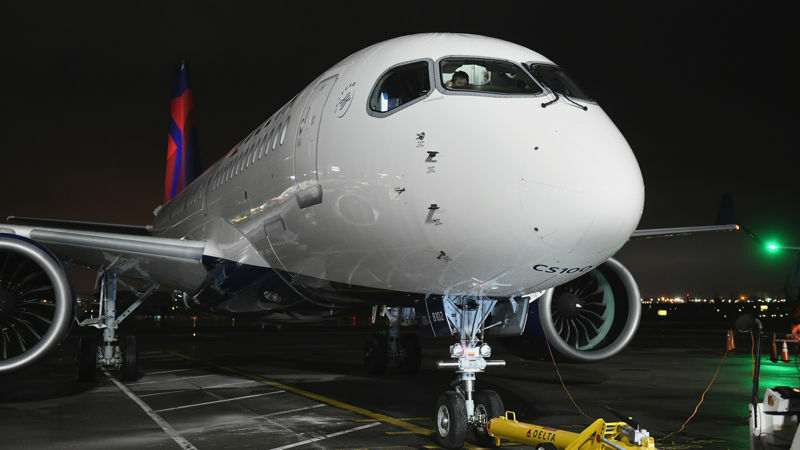 The first of the larger 130-seat A220-300s is due to be delivered to Delta next year. Airbus has orders for 532 A220s, 83 for the -100 and 449 for the -300. Of those, 57 had been delivered by the end of January. In addition to Delta, other North American carriers who have ordered the aircraft include JetBlue, with 60 -300s, and David Neeleman’s start up Moxy, which is down for 60 -300s. Air Canada has 45 -300s on order. The first A220s are assembled at Bombardier’s Mirabel site in Canada but Airbus has broken ground on a new Mobile, Alabama plant to build the aircraft for its US customers.